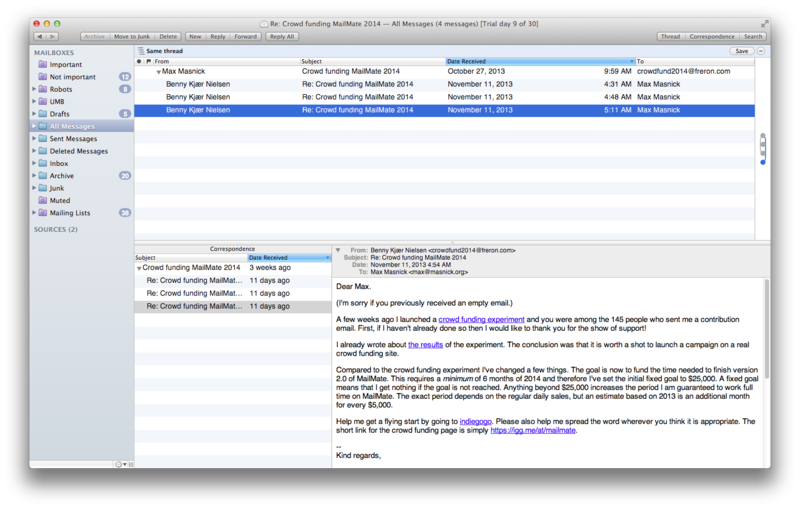 MailMate has an unsupported feature for creating custom layouts. I quickly created a combination of the two best (IMO) layouts: the conversation layout and the thread arc layout. @masnick Just note that it can be a bit fragile. Not all view-combinations work well. And it might break on updates. Beautiful. I was searching for a guide on how to create a custom layout so that I could create this one. Instead I found you had already created it. Thanks a lot. I hope it doesn't break in the future.